We all have been waiting for this moment! 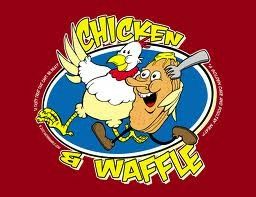 On December 21st, 2012 we will be opening The House of Chicken and Waffles for all to enjoy! Enjoy our vast assortment of chicken and waffle delights, and if youre feeling even more adventurous than the rest, have a Chicken-Fried Waffle. There will be a chicken petting zoo and discounts on all of our dishes. This is for one day only, so be there or be a circle!